Pain is the main symptom and this can occur on the underside of your heel and in the arch of your foot. The pain is often worst when you take your first steps on getting up in the morning, or after long periods of rest where no weight is placed on your foot. 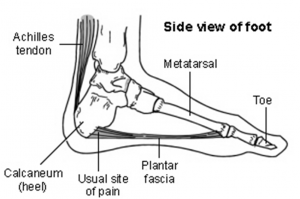 Plantar fasciitis is common; around 1 in 10 people will get plantar fasciitis at some time in their life. It is most common in people between the ages of 40 to 60 years however, it can occur at any age. 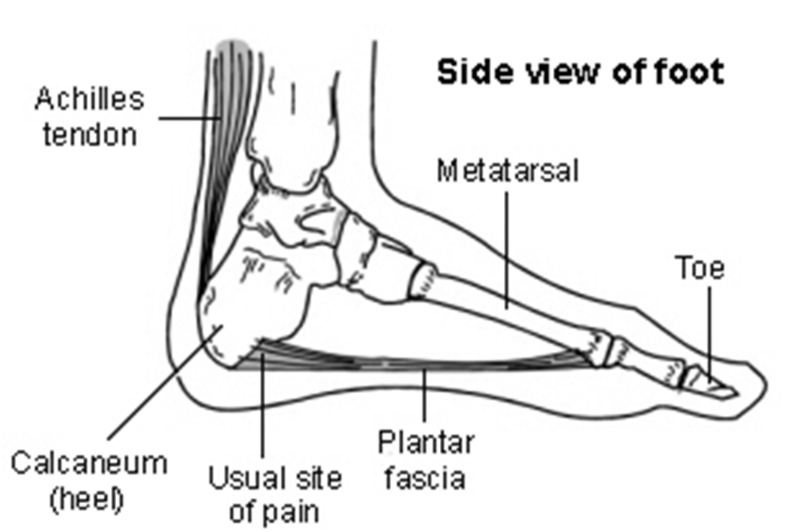 Plantar fasciitis means “inflammation of your plantar fascia”. Your plantar fascia is a strong band of tissue (like a ligament) that stretches from your heel to your middle foot bones. It supports the arch of your foot and also acts as a shock-absorber in your foot. Plantar fasciitis occurs from repeated but small injuries to the fascia (with or without inflammation) are thought to be the cause of plantar fasciitis. At The Balcombe Foot and Ankle Clinic we specialise in injuries to the foot and we are able to tailor treatment to your specific needs, activity level and footwear. Treatment varies and can range from reducing the acute pain, addressing the cause of the repetitive strain and inflammation, exercises and stretching advice, physical therapies, heel pads, orthotics to steroid injections and surgical referral if necessary.